Update on me… and more! How is your summer going? Last week in DC was VERY humid (like Bangladesh, BUT not as extreme). But I’m sure plenty of people were badly affected nonetheless! I joined the pricy, but nice/clean Washington Sports Club (WSC) in downtown Silver Spring and plan to go to the group exercises classes Mon-Thurs. Since I had a coupon, I bought some (comfy) gym clothes from Land’s End. 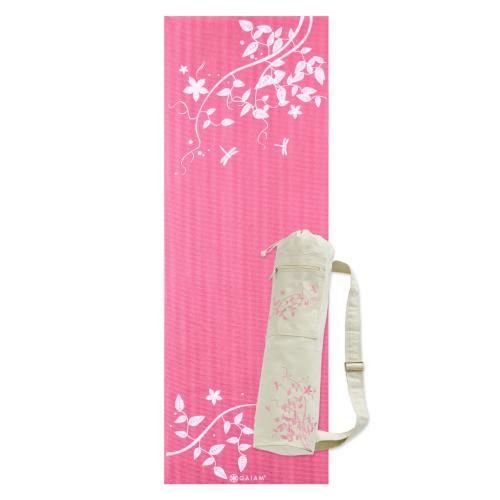 From eBay, I bought this (super cute) yoga bag and mat set. These are made by Gaiam. On Thursday, a storm came in around 4 p.m. out all of a sudden. The sky became unusually dark and threatening before the lightening, thunder, and heavy rainfall (for a short time). There were electricity, Metro, traffic, and tree-falling problems. But this time, power outages occurred mostly in Alexandria (NoVa), not so much in MoCo (where Dad and I live). Dad is happy to have a new 40″ Samsung HD TV for the (upstairs) living room. He bought a 32″ TV before, but thought that was a BIT too small. Next up for the house- a backyard deck. Bored w/ modern TV shows? 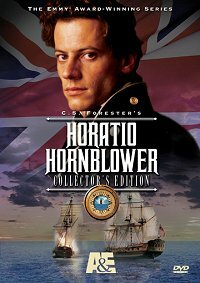 Check out this old-fashioned, British action-adventure series (which includes 8 full-length movies on 8 DVDs) starring a very young Ioan Gruffudd and Jamie Bamber. Midshipman Horatio Hornblower is a 17 y.o. boy when he first joins the Royal Navy in 1795. The Brits are at war w/ France, so there are plenty of battles at sea, hand-to-hand sword combat, and even some mystery and romance. Aside from that, you see the development of a bright, honorable, well-intentioned youngster as he grows from a boy to a man (and leader). 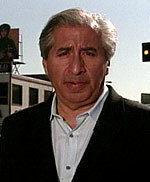 Mexican-American conservative essayist Richard Rodriguez (born 1944) is equally masterful on the page and onstage. (He’s a frequent contributor to PBS and has speaking engagements all over the Western world.) Many feel that education is the great equalizer. 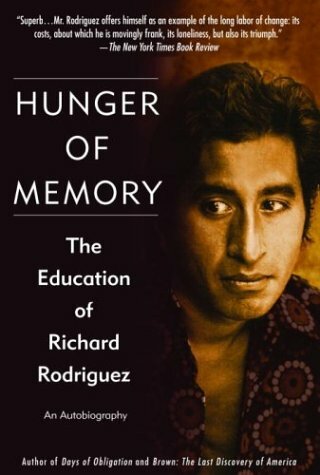 Rodriguez argues in this biography (published in 1981) that there is a price to pay for that education. Rodriguez also believes that class, not race, is the issue that needs to be addressed in our educational system. As a little boy in 1940s Sacramento, California, he is “Ricardo”- speaking Spanish and sheltered by the protective embrace of his immigrant parents. He sometimes has to translate for his parents in public. Once he enters the local Catholic school, he becomes “Richard”-a thoughtful student who finds a keen interest in mastering English and reading great works of literature. As the nuns suggest, the family begins speaking English at home. English is the language of the public sphere. 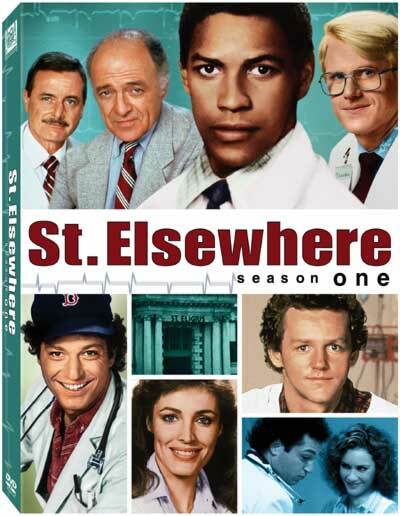 Though they have worked their way up to a middle-class life, Richard notices that his parents don’t speak English with confidence as they did Spanish. The loss of Spanish is correlated with the loss of closeness with his family. By junior high school, Richard has read hundreds of books. He learns about work by delivering newspapers and tending the gardens of his elderly neighbors. Serving as an altar boy, Richard learns about the rituals of life. (The author is still sustained by his Catholic faith and regularly attends mass). As a teen, he becomes “the scholarship boy” and gains admission to Stanford (in part due to affirmative action, a policy that he later speaks against). A local paper does a story on his educational success; he becomes an example in his community. One summer, Richard works in construction, just to see what manual labor is like. He finds himself enjoying it, partly because he’s not bound to this kind of work. Richard realizes that most of his working-class co-workers make decent livings, unlike the Mexican illegals (who are sometimes bused in for the toughest tasks). While the other men chat and laugh, the illegals are nearly silent and solely focused on getting the job done as quickly as possible. Of course, they are paid less than the regular construction workers, but they have no voice to protest. In college and grad school during the ’60s, Richard continues to excel and meets many wealthy, well-connected people (some of whom become life-long friends despite political and social differences). As he climbs the Ivy-covered, politically-charged ladder of academia, he wonders what work will fulfill him in the long run. He also begins to publish articles. How can he live “a life of the mind” and still remain true to himself? Richard Rodriguez’s thought-provoking and emotionally powerful book reads like many immigrant stories. The author grew up in a time when assilimination into mainstream American culture was the key to success. He lost a lot of his native Spanish, then gained it back after careful study in his early adult years. In one Thanksgiving scene, the author explains that two of his siblings have married non-Mexicans. Though Rodriguez’s father (who toiled in physically demanding jobs for many years) never fully mastered English, he was able to work his way up to a middle-class position. Richard’s mother (who spoke English well) always worked outside the home, and eventually earned a secure position with the city government. All of his siblings are college-educated and work in professional fields. This book also delves into our American educational system, which Rodriguez feels puts too much emphasis on improving college education, but not elementary and secondary education. How can a student succeed in college when he’s poor in reading or lacks everyday math skills? When Rodriguez goes to speak in inner-city schools, he finds a vibrancy lacking in middle-class, mainly white schools. The teens are wearing bright colors. They pay careful attention to their hair, clothes, and personal style. They are confident in their physical bodies and the author wishes he had been like that as an adolescent. However, most of these poor and working-class kids (no matter of what race), will find limited opportunities as they graduate high school.